Easy 3GP Converter is an easy-to-use software to easily convert AVI, MP4, FLV, DAT, VOB,ASF or MOV to 3GP format for your mobile phone. The use of the software is extremely simple, Just click on the "ADD" Button and select which format you want to convert to, then click "Convert" Button. You will be able to then play videos on your mobile phone! Is the easiest, most unique, time-saving audio file converter! View and convert currency exchange rates. Instant rates update. 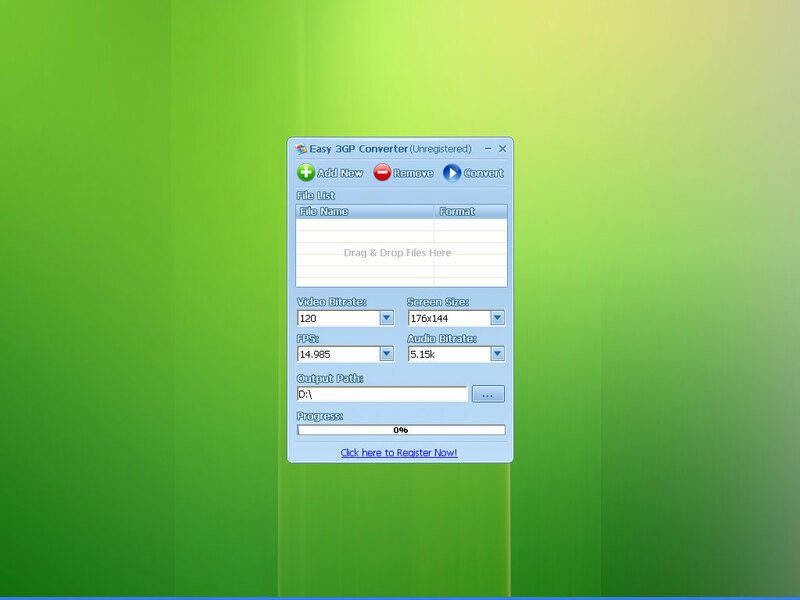 Qweas is providing links to Easy 3GP Converter 3.3 as a courtesy, and makes no representations regarding Easy 3GP Converter or any other applications or any information related thereto. Any questions, complaints or claims regarding this application Easy 3GP Converter 3.3 must be directed to the appropriate software vendor. You may click the publisher link of Easy 3GP Converter on the top of this page to get more details about the vendor.